Give every field the best chance of achieving the highest possible yield – while maximizing resources for optimal return on investment. To make the most of your chemical application, every New Holland Guardian™ sprayer can be equipped with advanced spray technology. 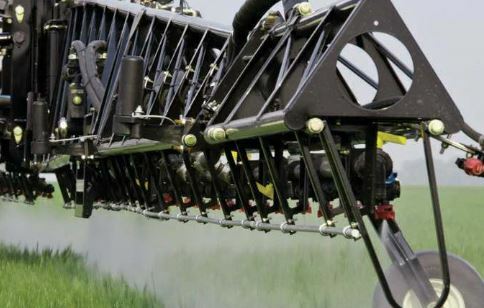 Pulse Width Modulation (PWM) spray technology ensures a constant application rate and spray pressure, even when sprayer speed changes. Think of it as a way to change nozzle tips without leaving the cab. With a nozzle valve diagnostic system, IntelliSpray gives you peace of mind that you’ll be able to spot malfunctioning nozzles. 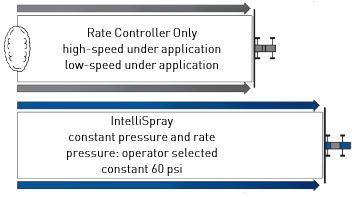 IntelliSpray operates through the sprayer’s rate controller – including the IntelliView IV, Viper 4+, or other ISO Virtual Terminal (VT) display. 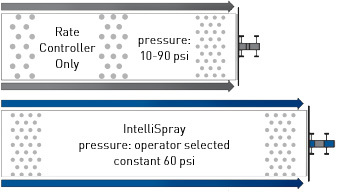 IntelliSpray precisely controls product flow and spray pressure. 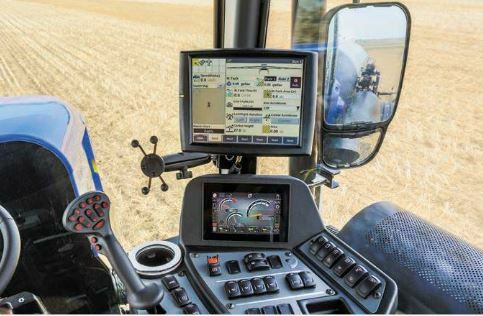 For on-demand drift control, IntelliSpray allows you to toggle between two pre-set spray pressures that can be reset up or down at any time. For more information on IntelliSpray, contact Ag Technologies (1268 E 100 S Rochester, Indiana 46975) at 574-224-8324.